Ahead of its public debut at the Detroit motor show, the third-generation Mini John Cooper Works has been unveiled and is armed with the most powerful engine ever put in a series production model. The latest JCW will go on sale in the UK next spring with a starting price close to the £22,460 it cost for its predecessor. 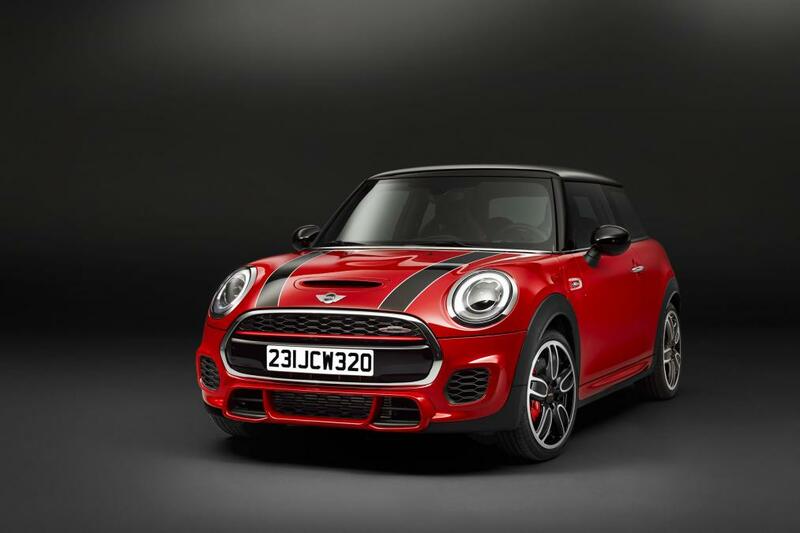 The three-door Mini Cooper S will be the platform for the JCW, as the case has been for the last two generations, and takes the basic styling cues from the hot hatch but also adds upon these to reflect the JCW’s aggressive potential. Upfront sees the JCW get a unique bumper with enlarged air ducts and revised LED headlights, while a traditionally larger and more prominent rear spoiler and a pair of centrally mounted chromed tail pipes. 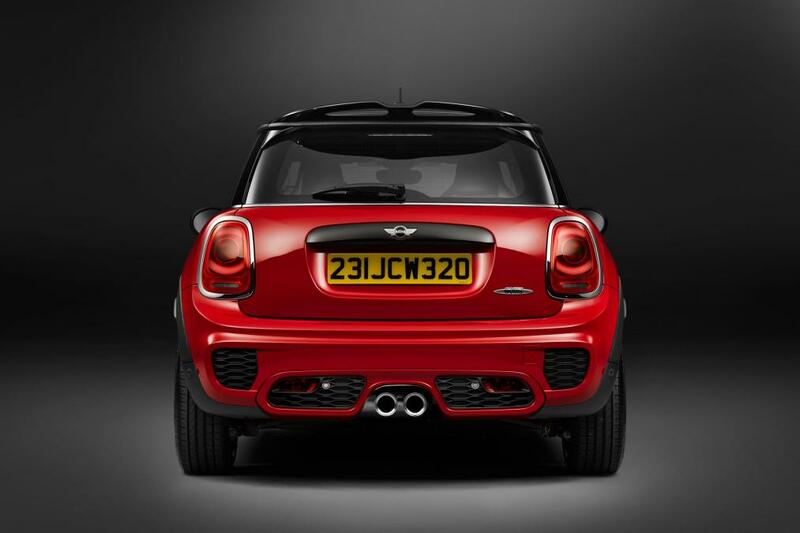 It’s always been what’s under the bonnet where it counts for the Mini John Cooper Works, and this iteration is no different; the third incarnation sees a revised version of the standard Cooper S’s turbocharged 2.0-litre four-cylinder unit tuned to a potent 228bhp and 236lb ft of torque. These are 20bhp and 29b ft increases compared to the second-generation model. There’s no mechanical limited-slip differential on this JCW, but it does benefit from an electronic differential lock that helps transmit its power onto the tarmac. Its 228bhp is put through either a six-speed manual ‘box or an optional six-speed automatic transmission that is operated with wheel-mounted paddles. The souped-up Mini rides on standard 17-inch wheels, but 18-inch options are available, too, while the car runs on tuned suspension and stops via a Brembo brake system. As well as a power hike, the new JCW is 100kg less at 1,205kg and does its part towards a 0-62mph time of 6.3sec and all the way to a 153mph top speed (for the manual) – 0.6sec and 7mph faster than its predecessor. Impressively, despite the extra poke from the engine, the new JCW returns a claimed 42.2mpg and emits 155g/km of CO2 in manual guise. 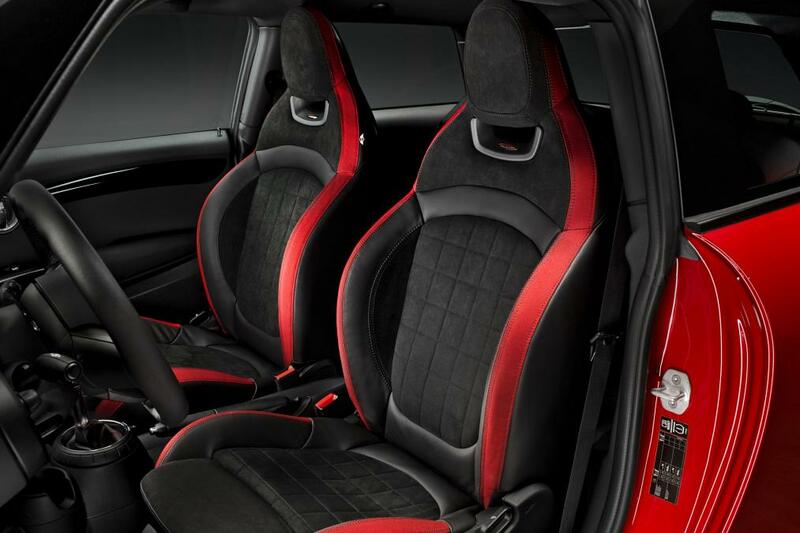 The new JCW’s interior has been given some additional unique touches, including more supportive front seats with integrated headrests, model-specific sill decoration, a three-spoke multi-function steering wheel, a new gear lever, stainless steel pedals and revised instrument graphics.